A couple of week ago I received an email from a local highland beef producer (organic the cattle is held in the mountains of Ticino). 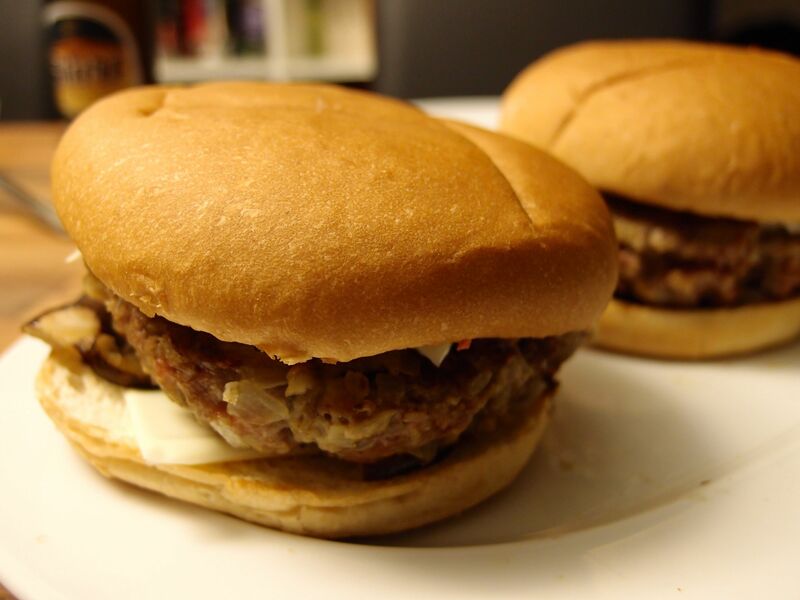 They offered minced meat at a fantastic prices and here we are, the first recipe. Chop the onions very finely and fry with a little bit of oil till golden. 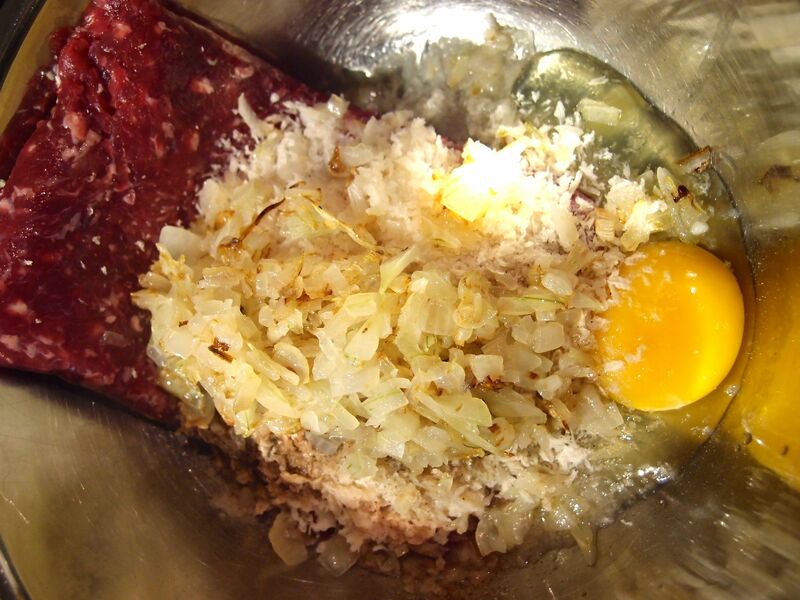 In a bowl put the meat, the egg, the panko, the onions, the spices, the mirin and the sake. Mix well with your hands until the mix is homogeneous and prepare 2 patties. Work the patties for some time to make sure that there is no air left inside. 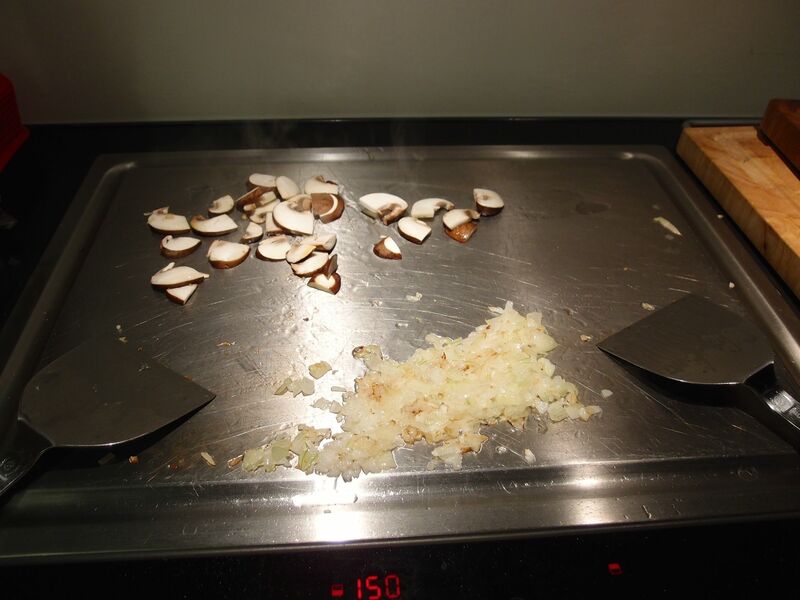 In my case I used the teppanyaki plate, in absence you can use a skillet. Quickly warm up the buns on the plate. Fry the sliced champignons till golden. 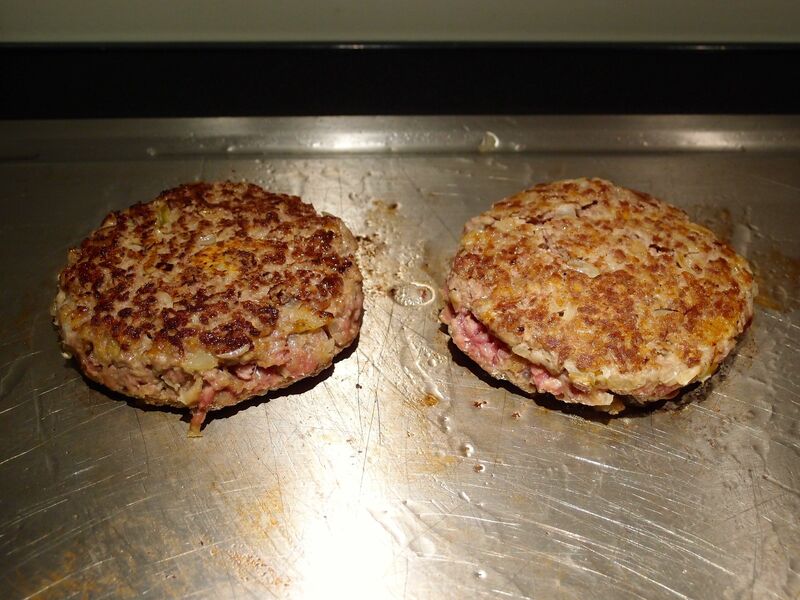 Fry the patties until golden brown on both side, then lower the temperature and let cook for some minutes. The bottom bun. 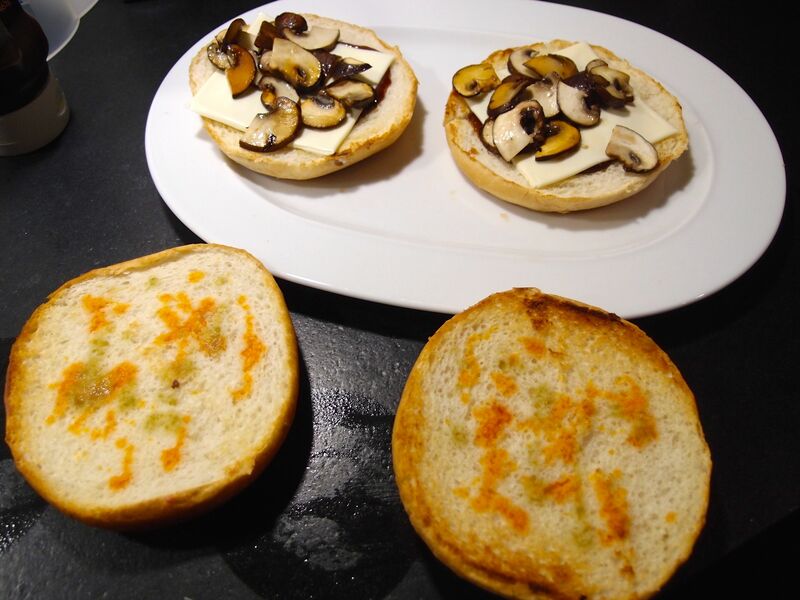 Add some Barbecue sauce on it and then top with the mushrooms. Put 1 cheese slice followed by the meat patty and another cheese slices. Top with the Bun where you sprinkled some tabasco and yuzusco.